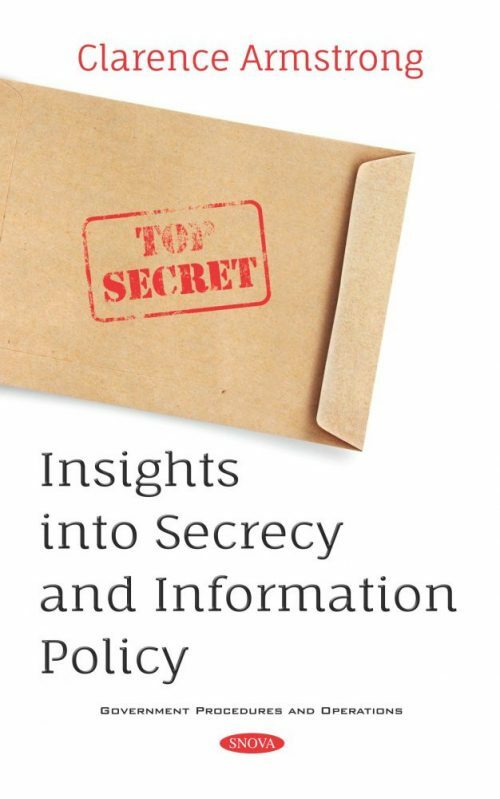 This book is a compilation of government reports from 2018 and 2019 on secrecy and information policies and procedures. The first 49-page report is from January 2019 and begins with an overview of the standards governing – and exceptions applicable to grand jury secrecy. The report examines whether and how the rule of grand jury secrecy and its exceptions apply to Congress. The second report in this book focuses on disclosure requirements that provide transparency so that the electorate, the Senate and employing agencies are aware of potential conflicts of interest that presidential candidates, executive branch nominees and other high-ranking executive officials have. Should Congress consider legislation addressing financial conflicts of interests for executive branch officials, it may revisit disclosure requirements. The next 3-page report from 2018 revisits the issue of whether courts have inherent authority (and obligation) to release secret grand jury materials. Following this report is a discussion on the public release of newly appointed Judge Kavanaugh’s records and whether the scope and volume of the records released is similar to previous Supreme Court nominees. The fifth report provides information on locating military unit histories and individual service records of discharged, retired and deceased military personnel. It also provides information n locating and replacing military awards and medals. Included is contact information for military history centers, websites for additional sources of research and a bibliography of other publications, including related CRS reports. Next, is an exploration of whether executive privilege applies to the communications of a President-Elect. The final chapter in this book is a 76-page analysis of the Resolutions of Inquiry (a simple resolution making a direct request or demand of the President or the head of an executive department to furnish the House with specific factual information in the Administration’s possession) and their use in the House from 1947 to 2017. Chapter 3.Do Courts Have Inherent Authority to Release Secret Grand Jury Materials? Chapter 6. Does Executive Privilege Apply to the Communications of a President-Elect?